How much do you know about the birth of America? Put your skills to the test in teams of one or two! 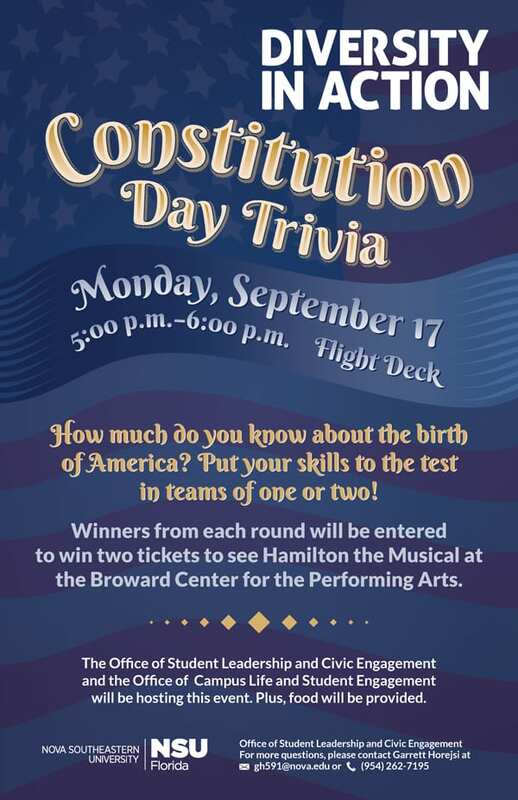 Winners from each round will be entered to win two tickets to see Hamilton the Musical at the Broward Center for the Performing Arts. 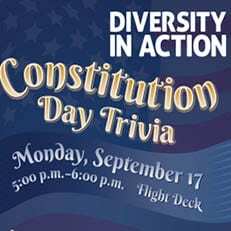 This event is a part of the Diversity in Action series. The Office of Student Leadership and Civic Engagement and the Office of Campus Life and Student Engagement will be hosting the event. Plus, food will be provided. For more information, contact Garrett Horejsi – (954) 262-7195.